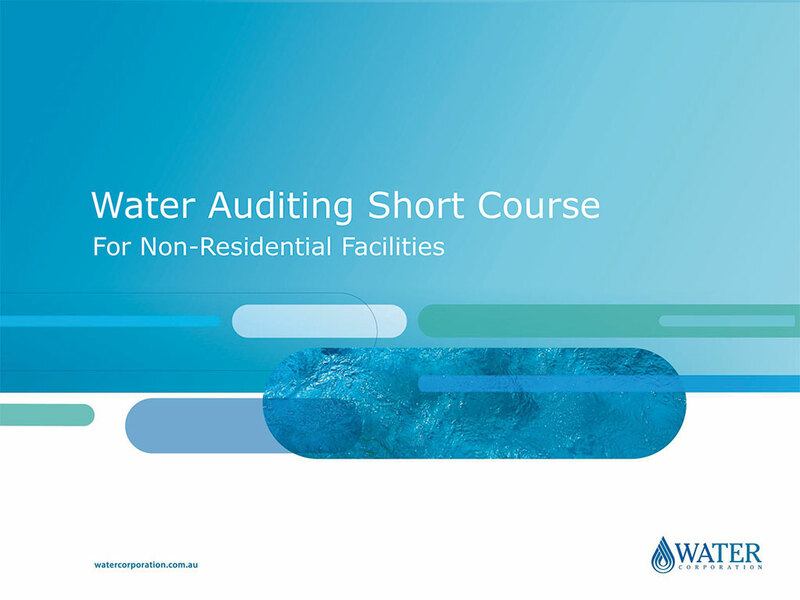 Water auditing training for non-residential facility managers. The Water Auditing in Non-Residential Facilities training course was created and delivered by JBA for the Water Corporation. The free training course was designed for staff responsible for managing non-residential facilities, which includes Facility Managers, Operations Managers, Sustainability Officers, Project Officers, Local Government Officers, Consultants and Engineers. The key areas covered in the session included water audit aims, data collection methods, water use modelling, analysis & reporting. The course provided practical examples and case studies that helped teach staff responsible for managing non-residential facilities how to review water use at a site, how to analyse and report on potential water saving opportunities and how to prepare business cases to support water saving recommendations. © 2016 Josh Byrne & Associates.